The Buffalo Billion investment will include $25 million to build the development center and $30 million for the purchase of various software, computers and servers. The state will purchase and own the equipment, which will be accessible by IBM and other private companies located at the Hub. The center is made possible through a partnership between the Western New York Regional Economic Development Council (WNYREDC), State Data Center, College of Nanoscale Science and Engineering (CNSE) and the University at Buffalo. In March 2014 Governor Cuomo announced that McGuire Development Company will be the lead developer for the Buffalo Information and Technologies Innovation and Commercialization Hub. 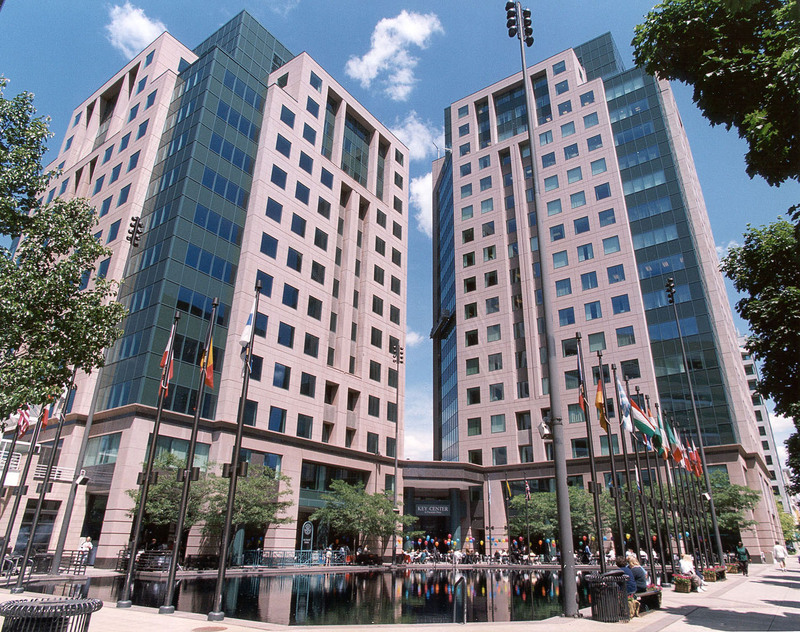 IBM, the Hub’s first anchor tenant, moved into its permanent space in the south tower of Key Center in 2016. In November of 2017, IBM announced that the innovation center will be adding 20 high-tech, new jobs with the addition of Bluewolf, a company that specializes in customer relationship management and cloud computing. As of February 2018 there are 222 employees at the innovation center. In February 2014, Governor Cuomo announced the Buffalo Information Technologies Innovation and Commercialization Hub, a $55 million Buffalo Billion investment will bring cutting-edge software development jobs to downtown Buffalo. IBM, the hub’s anchor tenant, is creating 500 new IT jobs in Buffalo and will train future and current industry workers, educate new IT staff through State University of New York (SUNY) partnerships, and develop next generation IT software needed to drive state-of-the-art discoveries in the areas of molecular research, genomics, energy efficiency development and defense.